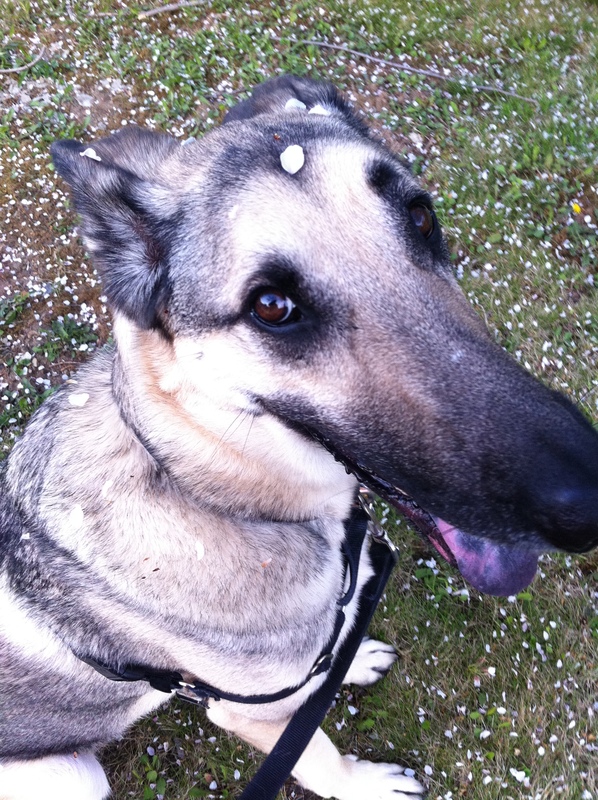 May Day is just around the corner, but there was white stuff falling from the sky when I was walking my German Shepherd Rodney yesterday. After the winter we had, I was surprisingly delighted. Of course. the white stuff was petals falling from trees. And as they covered Rodney’s fur, my hair and the ground, all I could do was smile. Posted on April 22, 2014, in My life, perspective and tagged 365 reasons to smile, Dogs, flowers, nature, smiles, spring, Thoughts. Bookmark the permalink. 14 Comments.